Part 2: I Feel Your Pain… I’m Going Through a Remodel, Too! Remodeling a home can be one of the most stressful experiences of a homeowner’s life. There’s dust and dirt, noise, big decisions, deadlines, and — likely the most stressful of all — the cost of the remodel. As detailed in last month’s Part 1 article, I recently renovated my master bathroom. Even with years of experience in the industry, I went against my own advice that I give my clients and lived in my home during a major remodel. Trust me — going through a remodel isn’t easy. Maybe the most obvious sign of a remodel is the mess that will take over your home. Even with plastic coverings and the best intentions of workers, you’re likely to have a layer of dust over most surfaces in your home. Don’t worry — though it might drive you crazy at the time, we’ll clean it all up! One of the hardest decisions for homeowners is when to stay in the home and when to move out during a remodel. To be frank, if you have the option to move out, do it, especially if you’re remodeling a kitchen, bathroom or creating an addition. Also consider that you may be temporarily losing things like air conditioning, gas, electricity, water and hot water. It is recommended that you move prior to the project’s start date, as the beginning is always the messiest part. Move back in once the punch list is completed. It’s inevitable – just as soon as you pack something away into that already overflowing closet during your remodel, you’ll need it. If you temporarily move out of your home, you’ll have the space to set up your belongings for easy access. You’re remodeling because you want a change, but that doesn’t mean you’ll enjoy the process of workers tearing apart your home. It can be sad to see the home you’ve created memories in “go away,” but ride it out and you’ll get a much better version of your home where you can make new memories. A remodel is like surgery — you have to go through chaos to get order. While we are confident in everyone working on your project, it can still be disconcerting to have so many strangers coming in and out of your home each day, disrupting your daily routine. If possible, avoid changing materials and designs during the remodel. Make your decisions in advance, or last-minute changes will cost you. On top of the inconvenience of a remodel, these unexpected (and often high) costs will only add to the stress of the construction. Ready for some good news? If planned and executed correctly, your home will be beautifully updated, and in the end, the months of stress, inconvenience and mess will be worth it. 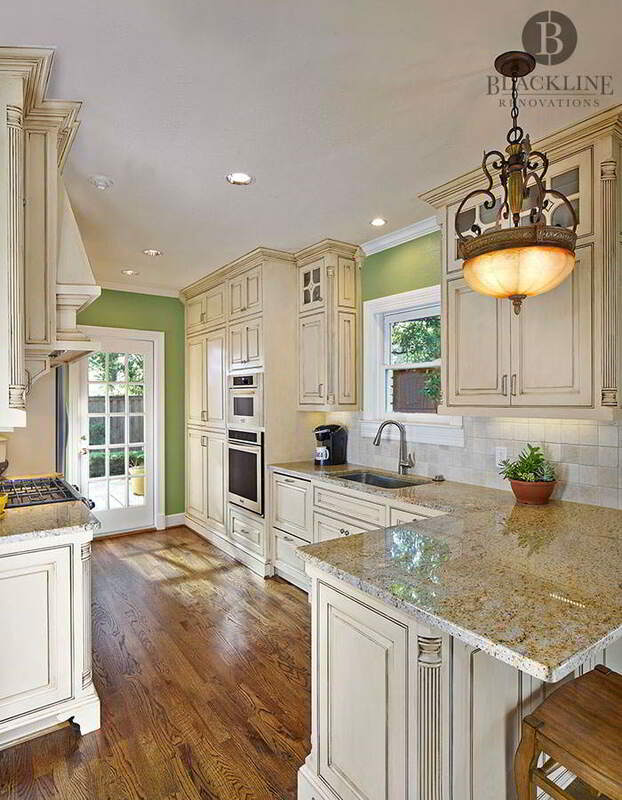 Call us today at 214-773-5566 to explore your remodeling ideas. We look forward to hearing from you! Blackline Renovations is now on Social Media! We are excited to share great content, behind-the-scenes pictures, and more on our social media pages. Click the links to “like,” “follow” and “+1”!